Goat farming is one of the most rewarding animal rearing business anyone can engage in anywhere in the world. Goat meats are widely accepted and consumed round the globe, while the milk is also gaining in popularity and is being sold in supermarkets across the United States, Europe and Asia and represent the bulk of the liquid milk market. Here in Nigeria, the goat milk is still not yet widely consumed because farmers are not yet taking advantage of the opportunity. Would you be the farmer to make this happen? The meat is believed to be the best animal meat available anywhere in the market for good reasons. Not only does the meat taste great, it is also lower in fat than chicken but contains higher protein than beef, that makes it better than chicken and beef. Goat meat has a unique taste that is very difficult to describe but very appealing to the taste bud. There are other products that can be derived from Goat milk such as cheese, yogurt, ice cream, and butter. Anything that cow milk can offer, goat milk can also offer. These are the reasons goat farming is considered by wise farmers as a very lucrative business and it is increasingly becoming very popular among modern farmers in Nigeria. In India and Nepal, goat farming is one of the major source of income for families and bigger farmers are producing larger quantity for export. China, India, and Pakistan are currently the largest producer of goat in the world with the opportunities still great there for any new farmer who would like to tap the gain. Nepal is said to still import about 1.3million live goat yearly from the neighboring countries such as India, meaning that the opportunity is very much huge in that country for any would be goat farmer. Australia is the largest exporter of live goat and goat products in the world, yet they are still not meeting the demand of countries where they export. The opportunities in Australia for new farmers are equally great and increasing rapidly. In United Kingdom, almost all the supermarkets sells goat meats and other goat products like the milk, cheese, butter, and yogurt. The demand is quite high and farmers there are not meeting those demands in full. There are plenty of money making opportunities for goat farmers in UK. In Nigeria, goat meat is widely consumed locally and forms major part of the people’s delicacies. The popular goat meat pepper soup is so tasty that people come from far and wide to have a taste of it. Yet, few farmers are into goat rearing in the country, most of the goats consumed in Nigeria comes from the Niger Republic and the North. Nigerian Dwarf Goats is popular in the South and Eastern part of the country but only kept for family consumption and sold in the local markets occasionally despite the huge demand. Any serious farmer who would take goat farming to the next level will have serious money to make. Goat farming is a big and profitable business Anywhere in the world. In this article, I will explain how anyone can start goat farming on a small scale and grow to any size he want within couple of years in any part of the globe. I want to make this article as comprehensive as possible and as people begin to share their ideas and understanding in Goat farming business through comments, I hope this will end up becoming great resource for small scale goat farmers much like the Poultry Farming post. Please read and participate by dropping a comment. 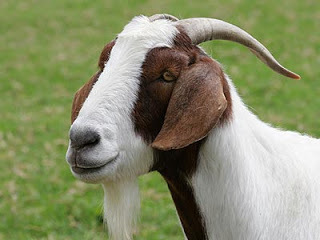 First, let’s look at the profit potential in goat farming business, I want to analyze the profit in dollar perspective because I am looking at a situation where some Nigerian farmer would take this goat farming to the next level and starts producing large enough to export even if it is to other African countries. A fully mature goat weigh about 100 pound and in many places goat sale is measured in pound with each pound going for $1.5. Therefore, 100 pound weigh goat will bring it $150 minimum. If you produce just 500 goats yearly and each sold for $150 minimum, you will be making $75,000 per year. Take away $25,000 as the production cost, you will be left with $50,000 (₦8,000,000) from just 500 goats as pure profit. Isn’t that great? Don’t forget that goats take between 2-3 years to mature, in the profit estimate above, I assumed you have passed through the first three years of establishment. The 500 is a big number but very achievable if you take your farming seriously, in all honesty 500 goats per annul after three years is a realistic goal for small scale farmers. You can start smaller and expand gradually depending on the resources available. Now, how do you proceed to start your own goat farming business in easy and simple way that guarantees profit and sustainability? How do you start off in a cost effective way that ensures you don’t get your fingers burnt. Below are what you need and things you need to put in place to ensure you get started quick and simple. 1. Pasture – Acquire a good grazing ground that grows plenty of grass verities. Goats are relatively clean animals. They eat a wide variety of plants that are nutritious to them. They are foragers of weeds and leaves and could eat different types of plant at different season and even days. However, production animals feed on grass, silage, hay and grain just like cattle. Look for where land is cheap and acquire some acres depending on the number of animals you want to keep. Goats need large expanse of land, they like moving and moving while eating plants that are not too close to the ground to avoid worm infested plants. They like keeping enough distance from each other, this way, they reduce contaminating each other. Goat don’t like over crowded condition, ensure you have enough acres of land for your goats to roam about free while grazing and feeding. How many goats should be kept in an acre? On a good pasture ground, maximum of 10 goats should be kept in an acre of grazing land, if you intend to keep up to 500 goats, you will need 50 acres of pasturage. Understand that goat multiply very quickly – a pregnancy will always result to the birth of twins. Sometimes they can give birth to single kid or even triplet which is very rare. 3. Housing – Build a suitable house for your goats, house is required to keep them safe from rain and other climate factors like cold. Goat don’t like bad conditions, they like to stay indoor when it is raining, they like to stay under share when the weather is hot, and like to stay outside and graze when the weather is perfect and enjoyable. Goat likes some measure of privacy when they are indoors, so it is required you build separate houses for few number of goats or you construct it in a way that it will be spacious enough to give each animal some level of privacy. Goats like laying down and chew the cord while resting in a quiet condition. Make sure the housing is made comfortable for them. Some even suggested building dog house for each goat. 4. 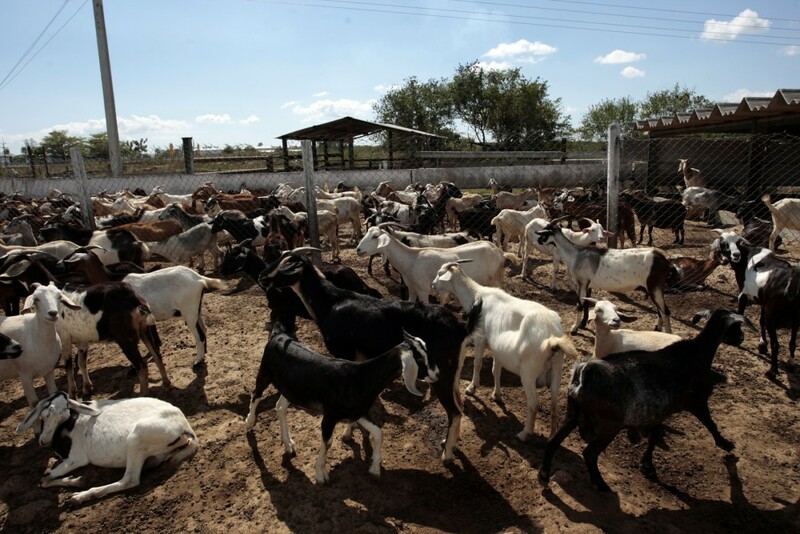 Species – There are large number of goat breeds suitable for different purposes of rearing. Some are very good for milk production, some are good for the meat, other are preferable for the fiber. However, there species that can combine all that. Some does well in certain area than the other, you need to go for the one that is most popular in your locality, they could be important reason why farmers prefer certain species in your environment. Check the list for available goat breeds in your country and choose according to what you need. Having decided on the goat breeds to go for, source for healthy kids. It must have history of De-worming and Vaccination. Goat is susceptible to stomach worm and other internal parasites. Get the healthiest of goats possible to start with. 5. Veterinarians – You will need to have appointment with a veterinary Doctors near you for periodic check up and vaccination. This is very important if you hope to keep the mortality at the lowest or completely eliminated. You can use Government agencies near you or appoint a private vet doctor. With all these in place, you are very good to go in your goat rearing business. Since goat does not necessarily feed on processed animal feeds, your cost of production will be highly reduced because they will be eating natural nutritious plants in their pasture that grows on their own. 2. Add what you know about goat farming in the comment box below or ask questions. 3. Tell others about WealthResult.com through any means you can, support us with your word of mouth. It’ll be great if you can share the stats on the quantity of goat consumed per locality in Nigeria, this might spur some investors to actions. Poultry and fish farming is being explored because of the short period of time involved in these enterprise, if anyone is going to invest funds over the 2-3 years windows as you have stated, one needs to have the stats so as to plan effectively and efficiently. 50 goats per acre? 500 goats 50 acres?? Is that not too much? And pls where can one get land that are affordable? Yes, that is about the international standard but you can adjust much less than that. Just use what works for you. Nigerian is our country, you may decide to comedown to the northern Nigeria and invest. we have a vast abundant of land. make use of the opportunity or partner with one of you school or university course mate who is from North. both of you will succeed. Great writing. Along with goats, raising some free range chickens ensure high profit. Am doing this. This is a good one, may Allah reward you. Interesting article. I have been thinking of how to start goat rearing ever before but with this information I have now, I will soon start with at least 10 goats. What I also want to know apart form your useful informative is what can I give them apart from the natural grass and leafs? as food for them to grow well and healthy? Great writing from a great writer, Mr. Darlinton Omeh, my question here is after harvesting atleast 500 goats, how do I get to know the process of exporting them abroad for selling? Seriously awaiting your responce. Gratitude. & how do I get ur contact? good investment opportunity. my problem is this… how do i get the type of breed that sells commonly in most Nigerian markets… i mean the hausa type of goat? I Googled this information because i'll like to go into this biz,I have the land and pasture but I reside in the southern part of Nigeria. I'll like to know which state I can travel to and buy goats at cheaper rate in Nigeria. In between, Nice and inspiring article. Thank you for the information. In the case of lack of green pasture, what else can I provide my goat with. And how and where can i find it? If I cant provide them with green pasture, what else can i feed them with? Nice write-up from Mr Darlington. I think I can provide answer to the questions asked about other feed that can be provide except fresh grasses… The answer are : Provision of Agro-industrial by-product can be an alternative to the forage expecially in dry season when forages are scars. Agro-industrial by-product are waste products arising from processing of crops or animal products usually by an agricultural firm.. Examples are Maize stovers , Cassava leaves, Wheat straw, Cowpea hulls, Cassava peels, Citrus pulp, Groundnut husk etc. Thanks Mr Darlington for this informative article. Please how and where can one get a Boer breed goats. I am very much interested in goat farming. Yes goat rearing is very lucrative because goats feed naturally on grass of different nutritional compositions. 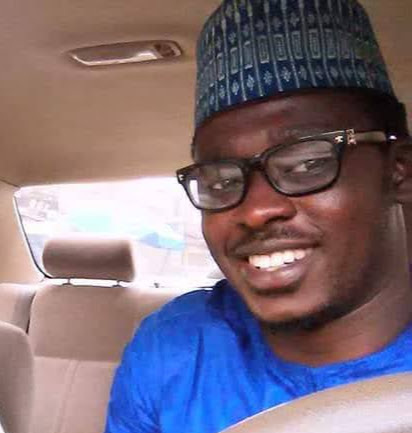 But the challenge is how can one who has not been gainfully employed in his own country for about 10 years after his University graduation start such a project. I use myself as an example in this case! The best thing is to combine it with other sources of income at the beginning. Then as the business begins to yield profit, you may gradually drop your other works to concentrate in the business. Thank you for this write up. I will like to know if you have a goat farm and the quantity you rear, thank you kindly. Pls sir mr Darlinton I will need your contact. This is a good write up,I am an Agricultural science teacher in a secondary school,I got a 3plots of land in ogunstate for this purpose,Please how many goats can I start up with and how much can I startup with thank you . I am a bit lost here sir. Pls do me the favour of describing an acre of land in terms of plots of land. Some persons say they have 2 or 3 plots of land, if my thoughts are right, judging from your conclusion sir, of 10 goats per acre, these persons can’t even start with 1 goat, unless I am wrong, which I believe I am. Pls help me sir. Thanks. I love this write up..Thanks and remain blessed for the information sir. My worry is, how do you know the kid goat that have been DE-wormed when you want to buy them as a beginner in goat business.. Thanks for your anticipated reply. pls i want to know goatmilk produce is what i want to do, since it not common in nigeria what should i do. Where can one get grass to plant? Wonderful writeup Darlinton, I think I have gotten some ideas for a start. Thanks, but I will appreciate if you can help us with your phone contact so as to reach you for further guidance. Good Write up I am in the Business ,I have got a lot of ideas to add up . I want to get some knowledge for prearing goat feed locally because I am dwelling in city where there is no grazing land. 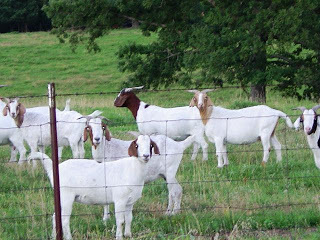 Quit a helpful information for me as I am about starting a goat farm in Plateau state Nigeria. I have been enlighten on the breeds, housing , care equipments and more. I want to know where we have demostration farm and where people get necessary training for goat farming in Nigeria. I love goat business. As such, I would like to undergo training before I embark into it. Where is it possible to do that? Interesting write up, an acre of land is about 4000+square metre. How would you rare only 10 goats on this large portion of land. Something is wrong with that. I guess the writer mean you can start with 10 since the number increases as reproduction started. The space will give room for the future kids. Thank you so much for the information about goat farming. The question is how do I get Nigeria dwarf goat to buy? I want to do this business how do get cheap goat and which state sell them. why you no dey give person your contact now ? thank you for this article it is very educating. This is Interesting and good article. I sincerely appreciate your article regarding goat rearing business. I rearer goat at my house. I’m also planning to do it in a large scale as you said in your write up. I knew goat reproduced twice in a year and its highly profitable business and achievable. infact, agriculture is the only solutions to unemployment in Nigeria. It is good to combine it with other business in agric like plantain plantation if you’re capable.